New research and increased attention are shaping an emerging treatment paradigm. Seizure clustering is a common clinical phenomenon in which a group of seizures occur in a “cluster,” or series, typically over a relatively short time frame. This clustering is often a significant burden for patients, causing medical and social difficulties for them, and frequently leading to emergency department visits and missed days of work or school. Although seizure clusters are relatively common, the lack of clarity regarding the definition of a cluster presents treatment challenges. 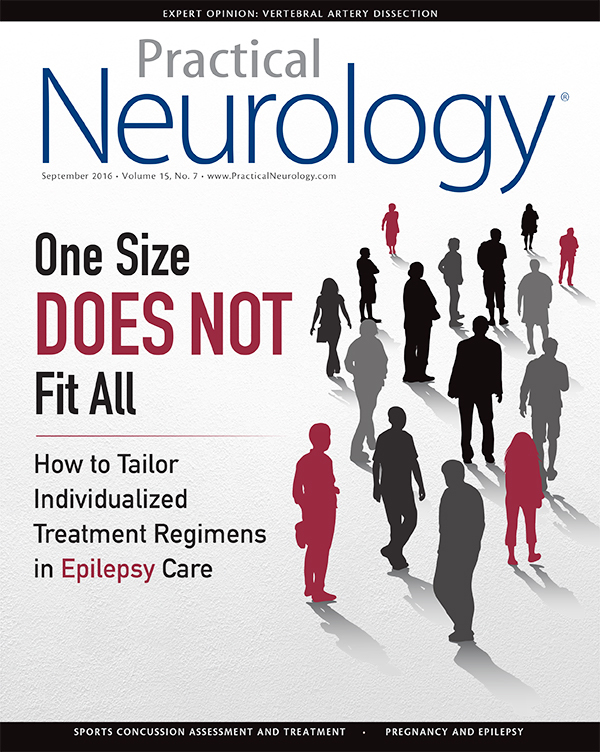 According to Sheryl R. Haut, MD, Professor of Clinical Neurology at Albert Einstein College of Medicine in New York, ongoing evaluation for seizure clusters is important when interacting with patients who experience seizures. “Health care providers need to assess a patient’s history very carefully, not only for overall seizure frequency but also the pattern of seizure occurrence,” Dr. Haut observes. Given the lack of a clinical definition for seizure clusters, identifying them often depends on interaction with patients, according to Dr. Haut. “I recommend asking patients a series of questions about how many seizures they typically experience during a ‘seizure event,’ and the maximum number of seizures that they have ever experienced in a 24-hour period,” says Dr. Haut. Patients reporting episodes of experiencing more than two seizures in a cluster are likely good candidates for treatment, while patients who have experienced status epilepticus are also at risk for seizure clusters, she observes. Regarding treatment, Dr. Haut points out that one agent with FDA approval for seizure clustering/acute repetitive seizures is rectal diazepam. “This is widely used in children but has many barriers for use in adults, ranging from social discomfort to difficulty in administration,” she says. The current mainstays for treatment are oral benzodiazepines, which should be used abortively and as early in the cluster as possible, according to Dr. Haut. “While there is no FDA indication and no randomized controlled trials for oral benzodiazepines, these are sometimes prescribed although patients may not be able to swallow a pill safely if they are having frequent seizures,” says Dr. Haut. While dissolvable lozenges may be more optimal in this setting at the current time, Dr. Haut points out that a number of studies are ongoing for benzodiazepines with other delivery forms including intranasal, but no product has been approved to date. 1. Ferastraoaru V, Schulze-Bonhage A, Lipton RB, Dümpelmann M, Legatt AD, Blumberg J, Haut SR. Termination of seizure clusters is related to the duration of focal seizures. Epilepsia. 2016 Jun; 57(6): 889-95.